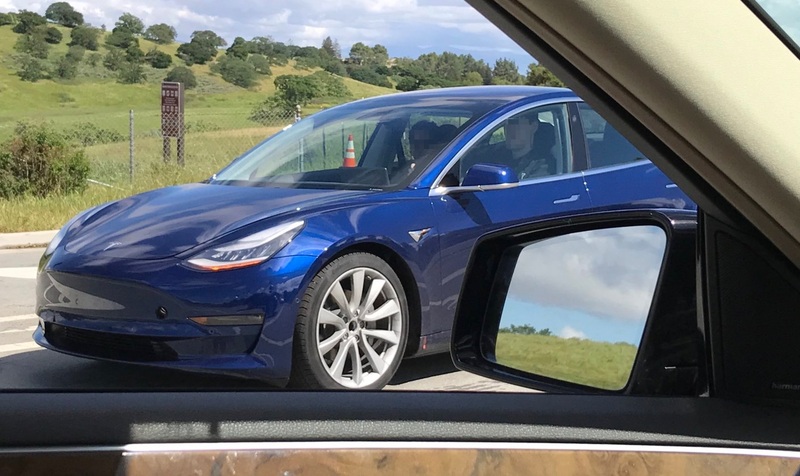 After we revealed the first spy shots of a Tesla Model 3 release candidate testing in Silicon Valley, a series of new Model 3 sightings have taken place across Palo Alto and the surrounding area near the company’s headquarters. A black Model 3 with new sensors was recently caught on video doing a spirited drive through the curvy backroads behind Tesla’s HQ. 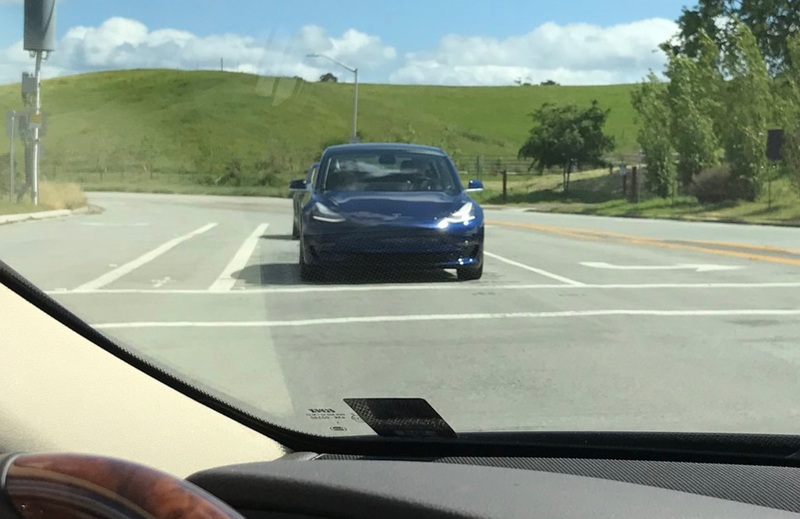 Photos of a black and a blue Model 3 was also recently captured by Jalopnik on the company’s lot. 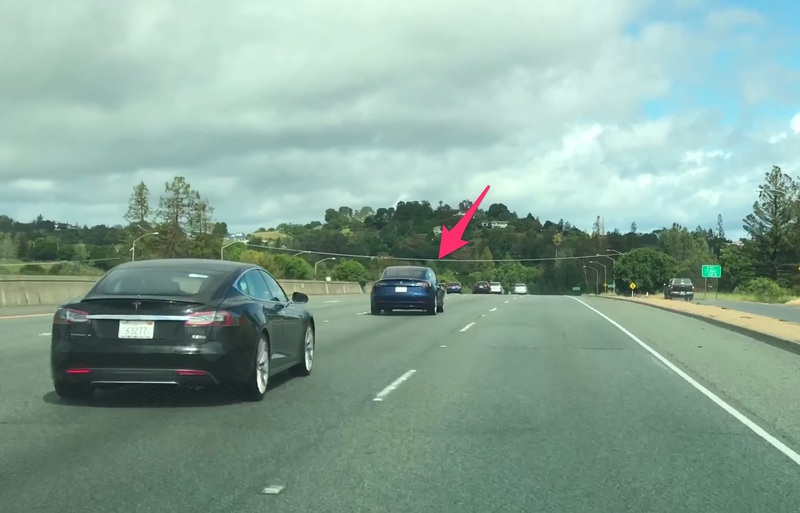 Now, just days after the recent sightings, a new video has surfaced on YouTube by OMG_Tesla showing a blue Model 3 testing on Interstate 280 while supported by a Ludicrous Model S P90D serving as the chase car. Looking at the size difference between the Model S and Model 3, and one can clearly see that the Model 3 is a smaller and arguably a simpler looking car than its big brother. This would make sense considering Tesla continues to remind consumers that the Model 3 “isn’t ‘Version 3’ or the next generation Tesla”. 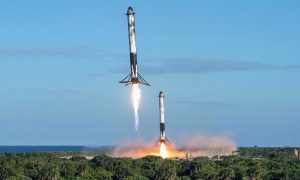 Model 3 is “smaller, simpler, and will come with far fewer options than Model S”, says Tesla through a blog post aimed at helping buyers choose between a Model S and Model 3. The guys from popular podcast The Tesla Show also caught a glimpse of a blue Tesla Model 3 on Saturday. 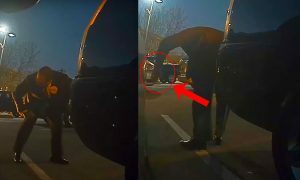 The vehicle appears to be the same “release candidate” version spotted earlier in the week. 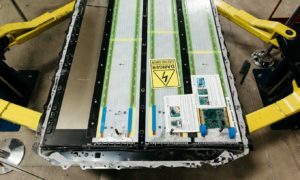 We’ve added two photos of the vehicle courtesy of The Tesla Show. Visit their page to see the full gallery. 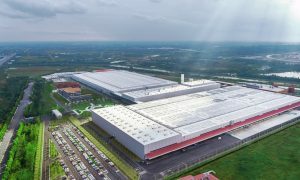 Gigafactory 1 in Sparks, Nevada will begin Model 3 battery pack production this quarter. 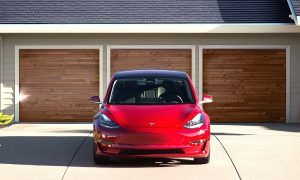 Low volume production of the Model 3 is expected to begin in July, followed by a production ramp of nearly 10,000 vehicles per week in 2018.